Welcome! 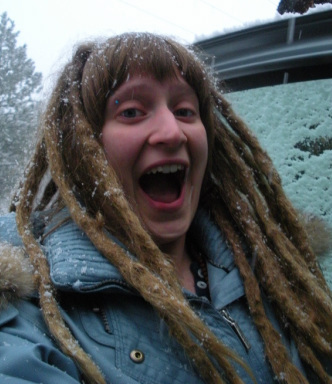 I’m Christiana Dancer and I am a yoga teacher, Realtor®, and Birth Doula in Eugene, Oregon. I am so proud to be a part of the Eugene community and to share the many tools yoga offers to whomever is willing to listen! My mission as a yoga teacher is to help others find peace within themselves so that they can share their peace with the world around them. The purpose of this website is to be a resource not only for myself but also for my students and fellow teachers. I hope to give my students the opportunity to learn more about myself, yoga, and also about the amazing lineage of teachers that I am linked to. I want to connect with teachers in, around, and no where near Eugene so that we may be a resource for each other. Also, I will be using this page as a way to connect more deeply with myself. I’ve noticed that I learn so much from observing the people around me, but lately I feel the need to see what I can learn by observing me. In this way and many others I hope we can grow and blossom together. If you are interested in taking private or group classes with me check out my cla﻿ss schedule﻿ page. Currently I teach a few different classes at ﻿SpringWell Health Center﻿ in downtown Eugene including gentle and prenatal. I look forward to connecting with you. Thanks for stopping by!